The first blog of this series discussed the most obvious factor when determining a company’s sustainability: their environmental awareness. Another important element that contributes to the triple bottom line of sustainability is social sustainability. This can be defined many ways, but for the purposes of this blog we will define it as a company’s efforts to give back to the communities in which they operate. This can be done several ways. Some companies organize fundraising events and donate the money to local environmental groups while others send volunteers to help with ongoing projects. No matter their level of involvement however, every brand we carry invests in their community in some way. Part two of a three part series on sustainability in the outdoor industry, this blog will highlight some of the social sustainability initiatives that different brands we carry at Roads Rivers and Trails have to offer. Patagonia definitely takes the cake when it comes to community involvement and outreach. They work closely with several environmental organizations and donate 1% of all profits to nonprofit groups across the globe. Another way they raise funds for these groups is by organizing the Salmon Run, a 5k community “fun run” in Ventura, California. They also created an environmental internship program for their employees, which is one of the best internship programs I’ve ever seen. Not only do they allow the inte rns to work with whatever environmental group they want, they continue to pay and offer benefits for the duration of the internship, which can be up to two months! 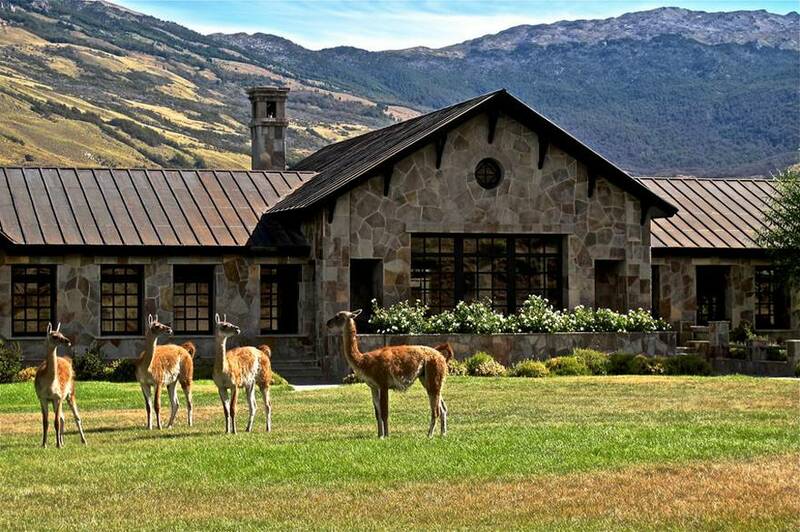 Patagonia also takes steps to give back to its namesake, Chilean Patagonia, by sending employees at the company’s expense to help create a new National Park from a former sheep and cattle ranch. Volunteers help remove non-native plants and restore grasslands, build trails, and even built a visitors’ center and other necessary infrastructure. When it is finished the park will span 173,000 acres and be a home for over a hundred species of native fauna, including the four-eyed Patagonian frog and the near extinct huemul deer. While Patagonia’s community outreach and dedication to environmental protection is truly astounding, Arc’Teryx is right behind them in giving back to communities and protecting beloved wilderness areas. 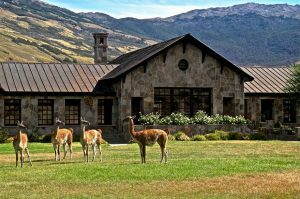 However, they differ from Patagonia in that most of their involvement and outreach is through partnerships with other organizations. For example, they partner with the North Shore Mountain Bike Association to help maintain and protect mountain biking trails on Canada’s North Shore. They are also a sponsor of the Trail Builders Academy, which utilizes both on-site and classroom settings to teach proper trail building and maintenance techniques. They are also members of the European Outdoor Conservation Association, which requires a membership fee that directly funds projects that Arc’Teryx employees regularly volunteer time towards, and the Conservation Alliance, which engages businesses to fund and partner with organizations to protect wild pla ces. The membership fees for this organization also go towards funding projects that are voted on by members. One project that Arc’Teryx created and organizes itself is the Bird’s Nest Project. 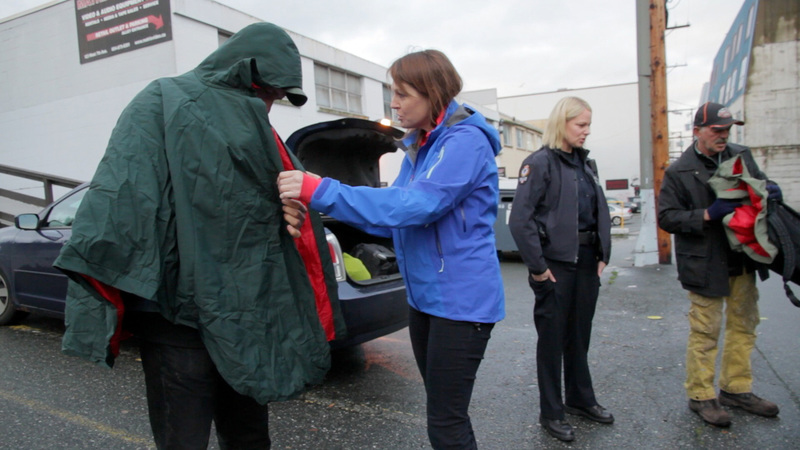 Staff members volunteer time to sew discontinued Gore-Tex fabrics into garments for homeless citizens in Vancouver, which are distributed by local police departments and homeless shelters. Another brand that invests a lot in their community and organizations across the country is Osprey. Like Arc’teryx, many of their social sustainability initiatives are through partnerships with other organizations. They helped Conservation Next organize and execute an event where volunteers spent the day removing invasive species and performing much needed restoration work on trails in Eldorado Canyon State Park. They also act as a sponsor for Telluride by financing renewable power for Lift 12, as well as sponsoring the Wild and Scenic Environmental Film Festival. On their own, they donate $2 of every pro deal sale to non-profit organizations, including the Appalachian Trail Conservancy and Continental Divide Trail Alliance, and donate 5% of profits from their biannual community “Locals Sale” to nearby non-profit organizations. Donations from these two fundraisers totalled around $7,000 in 2009. 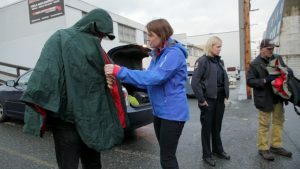 Financial donations aside, they also allow employees to do 8 hours of volunteer work on their clock, racking up 200 hours of paid volunteer work in 2009 alone. These three companies definite ly do the most when it comes to social sustainability, but all of the brands we carry give back in one way or another. Rab and Prana contribute to multiple service projects, including restoration work at Peak District National Park (UK) and sending aid to natural disaster sites. Big Agnes and Sea to Summit support Leave No Trace, an international organization that teaches outdoor ethics. These two also support several other environment-focused organizations such as the Conservation Alliance, the Association of Outdoor Recreation and Education, and the Outdoor Industry Association. Some businesses see giving back to nearby communities as a great PR move, but it’s incredibly important to account for how their operations affect local people. Companies benefit from these communities and everything they have to offer, so it is crucial that they invest in them to ensure their longevity. Social sustainability is often overlooked or assumed, but the brands we carry here at RRT do an awesome job of making sure local neighborhoods and the organizations that support them are taken care of. However, they cannot truly be sustainable unless they follow the criteria of the triple bottom line, which includes social as well as environmental and economic sustainability. You can read about our apparel brands’ environmental sustainability here . Stay tuned for the final blog of this series, which will discuss the thrilling world of economic sustainability, coming soon! Any outdoor enthusiast, whether you’re a extreme high alpine climber or simply love hiking through your local trails, acquires a set of ethics in the way they behave and experience the outdoors. It is important to be a steward of the environment for the health of the wilderness, yourself and for the future of the flora, fauna and natural features. As outdoor enthusiasts, we have the responsibility to be stewards of the wilderness by not making a negative impact. While this all sounds nice and obvious, it can be somewhat idealist. The thing is, you may consider yourself a conscious steward of the environment, but may be making negative impacts in ways you did not realize. 1. LEAVE WHAT YOU FIND. Is this rock more beautiful here or in a shoe box in your room? Seriously, please leave what you find. Part of what makes that rock/flower/leaf/whatever so alluring is the fact that you found it in a beautiful place. You should allow for others to enjoy whatever it is that you found. And if you would like to take a memento for sentimental purposes, please just take a photograph instead. 2. GOOD CAMPSITES ARE FOUND, NOT MADE. Part of planning ahead and preparing is to find pre-established camping sites for the night. 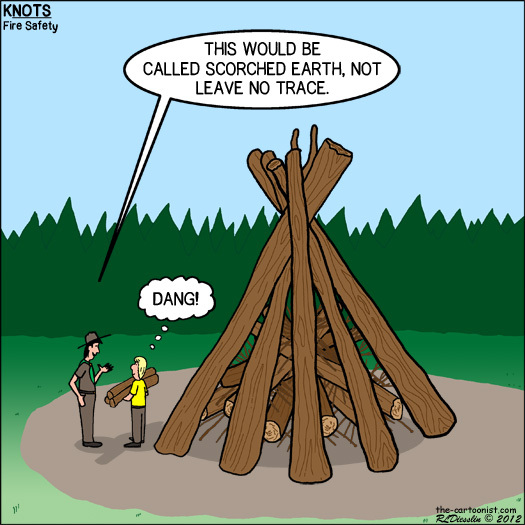 Avoid creating (destroying) a new campsite when there’s a pre-established one a few miles ahead. Also, the site is probably better anyway. However, if you are in a bind and cannot find an established campsite, then CHOOSE A PRISTINE CAMPSITE OVER A SEMI-IMPACTED SITE. This seems counter-intuitive to many people. However, it is better to camp at a pristine (untouched) site than one that is more eroded (semi-impacted) because the pristine campsite has a better chance of maintaining its condition as an unaltered site. A semi-impacted site that is used will quickly transition into an impacted site. 3. DON’T FEED THE SQUIRRELS. This goes for any animal.I know they’re cute and want your attention, but it is really harmful for the animal if you feed it people food. It also encourages wildlife to interact more with humans, which can cause more problems and potentially domesticate the animals in a way that makes their lives in the wild more dependent on humans. 4. PLEASE ACTUALLY BURY YOUR POOP 5-6 INCHES. Human poop is a lot different from wild animal poop. Consider the differences in our diets. Our poop can be toxic to wildlife, in addition it is unsightly and gross. If you’re in rocky terrain then either pack out your poop or use the hole created by a large rock and place the rock over top of it. Social trails are trails created by repeatedly walking the same path over and over again, particularly with multiple people. Scatter yourselves and go different paths to your tent, kitchen, etc. to avoid eroding the land. 6. MAKE AND MAINTAIN CONSCIOUS FIRES. Fire pits aren’t trash cans. Too often have we walked by a fire pit littered with beer cans and food wrappers. Also, create a fire that suits your needs for the night. It is really not necessary to burn an entire tree just to hang out by the fire for the evening. It is also essential to make sure the fire is completely out before you leave it. This means throwing dirt over it and water, and making sure all embers are put out. 7. DON’T GET TOO CLOSE TO WILDLIFE. 8. TOILET PAPER IS LITTERING. Pack it in, pack it out – all of it. You are supposed to pack out your toilet paper (you can leave the rest in the cat-hole). Ladies, please pack out all of your feminine products. Natural TP (such as leaves) is okay to leave behind, of course. Micro-trash is ea sily overlooked. 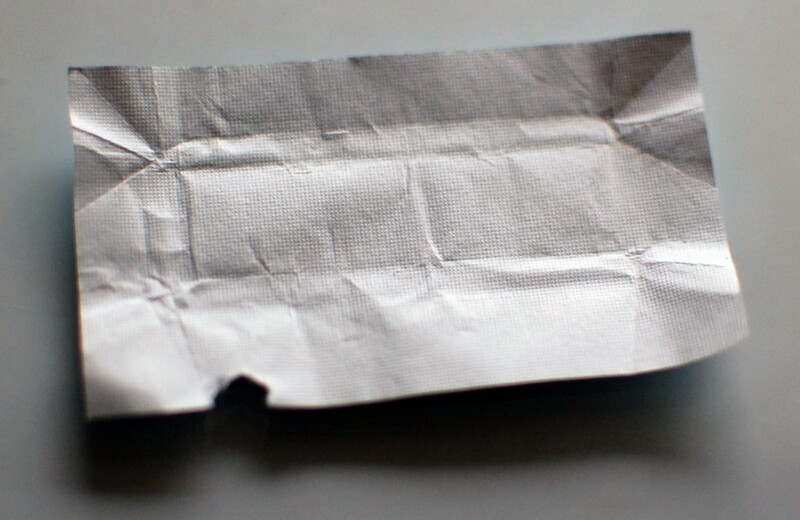 This consists of the tiny plastic corner of your granola bar, a pop-tab, or small piece of trash that might not catch your eye immediately.. The best way to avoid these small pieces of trash is to create “one-piece trash.” Instead of ripping off the corner of your granola bar wrapper, open it in a way that keeps the packaging all together. Also, please don’t ever throw your cigarette butts on the trail. 10. DO NOT CUT SWITCH BACKS. Switch backs are there to make your incline more gradual and less steep.This gradual progression protects the hill slope. It is important not to cut the corners of switch backs because doing this increases erosion of the hill slope and surrounding vegetation. 11. DO NOT DUMP GREY WATER. Grey water includes water left over from washing your pots and pans, and food remnants leftover. Many people use the popular Campsuds brand, or Dr. Bronner’s castille soaps. These soaps are advertised as biodegradable, but this does not mean that you can pour them directly into streams or onto the trail. 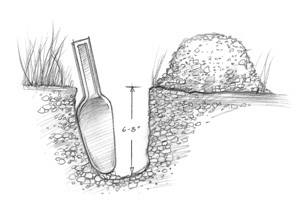 It is stated directly on the bottle that you must dig a hole 6-8 inches deep for your grey water. This allows the bacteria in the soil to completely and safely biodegrade your soap. As far as food grey water, or any leftover food waste, either eat all of it or pack it out. Additionally, be conscious when brushing your teeth. Please do not spit toothpaste directly onto the ground. The best method is to spray your toothpaste/water mixture in order to disperse it as much as possible. 12. SPEAK UP WHEN YOU SEE UNETHICAL ACTIONS. As an outdoor enthusiast, you have the responsibility to set a good example for others. At times, this might mean speaking up and calling out unethical behavior of others. Often times they may not realize that what they’re doing is wrong and will remedy their actions accordingly. 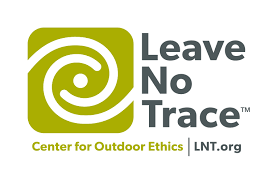 For more information: Visit the Center for Outdoor Ethics – Leave No Trace website: lnt.org.